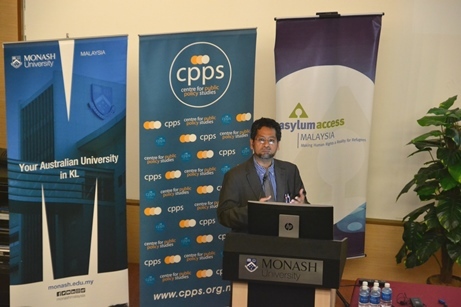 The School of Arts and Social Sciences (SASS) recently hosted a roundtable on the Rohingya in Malaysia, organised by Centre for Public Policy Studies and Asylum Access Malaysia. 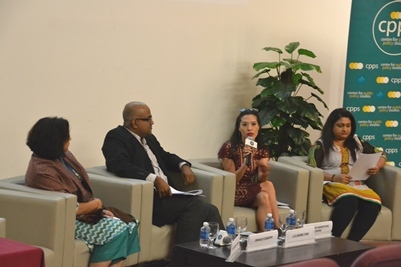 In discussing attempts to bridge the gap between aid and resettlement of the Rohingya refugees in the country, and generating practical, stable, long-term solutions to the refugee crisis, the event brought together stakeholders from UNHCR Malaysia, Mercy Malaysia, Rohingya Women Development Network, Asia Pacific Refugee Rights, SUHAKAM, Health Equity Initiatives and the Malaysian Bar Council. Following welcome remarks from Professor Helen Nesadurai, the Head of the School of Arts and Social Sciences, and Caroline Cheong, Senior Director of Centre for Public Policy Studies (CPPS), a UNHCR representative, Richard Towle took the stand. Thanking Monash University as an institution that prioritises political motivation and conscious, Richard Towle provided an overview of the refugee situation in Malaysia, highlighting that Rohingya refugees see Malaysia as a country of destination rather than transit. Though Malaysia has opened its doors to the Rohingya refugees, there is a glaring lack of commitment to safety and wellbeing of the asylum-seekers. Towle highlights that in a Trump era, global resettlement has all but collapsed and for the Rohingya refugees, going home is not an option, so it’s high time Malaysia stepped up. 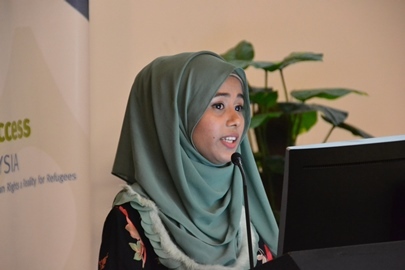 Following Richard Towle’s opening address, Sharifah Shakira took the stand in her capacity as the director and founder of the Rohingya Women Development Network (RWDN). Sharifah Shakira, shared her knowledge of the lived experiences of Rohingya women in Malaysia, highlighting how they are easily victimised as they lack legal protection. She then foregrounded the recently launched National Human Rights Action Plan (NHRAP), as a beacon of hope for the refugee community, as the NHRAP symbolises Malaysia’s commitment to guarantee and safeguard human rights in the country. “How long before change?”, Sharifah Shakira challenged, ending her presentation with a call for attention and action. Dato’ Dr Ahmad Faizal Mohd Perdaus, President of Mercy Malaysia then presented on the systematic discrimination the Rohingya face in our country, spanning from the absence of a domestic legal framework to the limited access to and high costs of public health services. Ending on a hopeful note, Dato’ Dr Ahmad Faizal Mohd Perdaus presented potential action plans that targeted improving the wellbeing of Rohingya refugees in Malaysia. 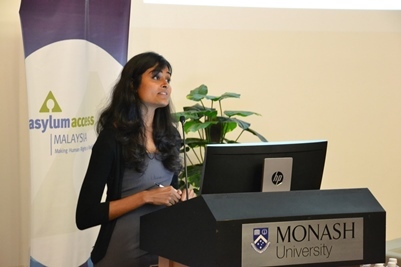 The last presenter of the day was none other than Deepa Nambiar, founding director of Asylum Access Malaysia (AAM). She explored the legal aspect of the refugee crisis in Malaysia, demonstrating the challenges embedded in our current legal system that disadvantage Rohingya refugees, whilst also showing opportunities within the legal framework and legislation that could guide Malaysia into becoming a safe, secure haven for Rohingya refugees. Moderated by Lilianne Fan, a humanitarian professional who specializes on the situation of the stateless Rohingya, the panel discussion commenced, featuring Jerald Joseph, a Commissioner of SUHAKAM, Dr Sharuna Verghis, co-founder of Health Equity Initiatives, activist and Monash University senior lecturer, and Sumitha Saanthini Kishna, Bar Council member of the ‘Migrants, Refugees and Immigration Affairs Committee’. 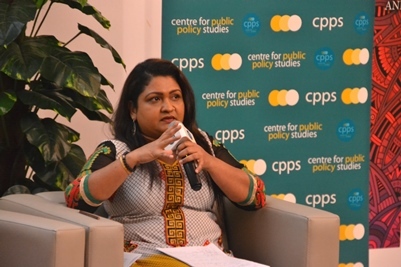 Dr Sharuna Verghis took the opportunity to bid for a rights-based approach in dealing with the Rohingya crisis in Malaysia, proposing that the refugees are given opportunities for more scholarship and research, taking a stand to say that granted the autonomy, the refugees are more than capable of running their own programmes. Sumitha Saanthini Kishna on the other hand, discussed how detention of refugees, largely arbitrary, instills fear in the community and potentially increases xenophobia and discrimination against the Rohingya refugees. She also took the opportunity to commend the Malaysian government for taking up these issues, and ASEAN as an international body for lending support. In our changing political climate, especially with elections on the horizon, Jerald Joseph put forward suggestions as to how to keep the discussions about the Rohingya crisis at the forefront. He calls for transparency between government and non-government institutions in discussions of standard operating procedures and laws concerning Rohingya refugees. 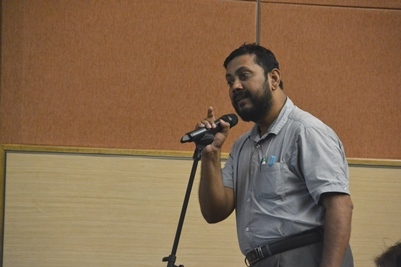 The programme ended with a Q&A session, lending a platform to many refugees to voice their frustration about their situation and also answering crowd questions about how working together, civilians and authorities need to join forces and reframe current debates surrounding the refugee crisis in Malaysia. The event successfully provided a platform to discuss practical and sustainable solutions in law and policy to this crisis in Malaysia, while also factoring in limitations and opportunities within current international refugee policy concerning long-term support for refugees.